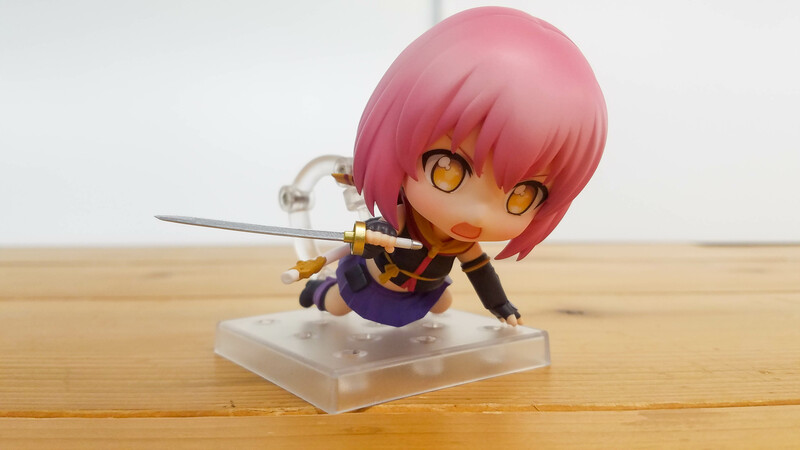 Momo Minamoto in her Tsukikage outfit from the anime “RELEASE THE SPYCE” is joining as a Nendoroid! 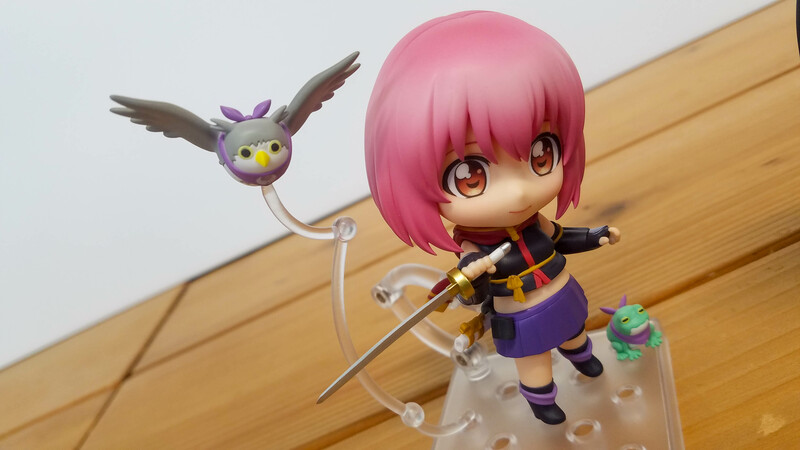 Three faceplates including the standard expression, an awakened expression after taking the spice as well as a secret third expression which will be unveiled at a later date come together with this Momo Minamoto Nendoroid. 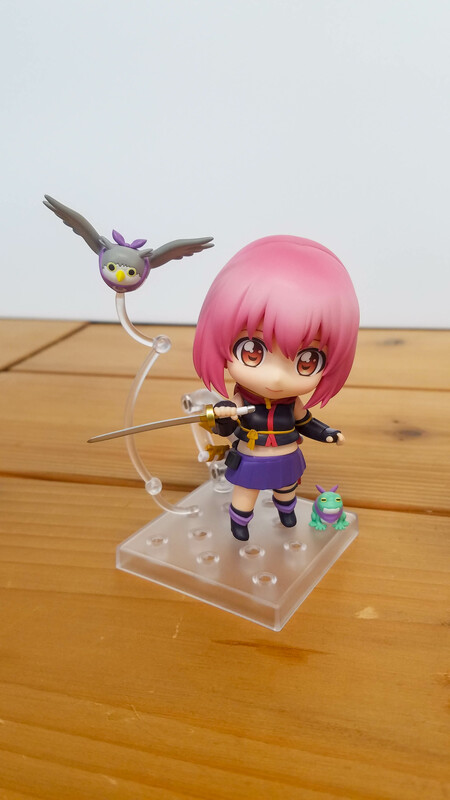 Her Ninja-trained animals Kamari and Monomi are joining her on her missions. 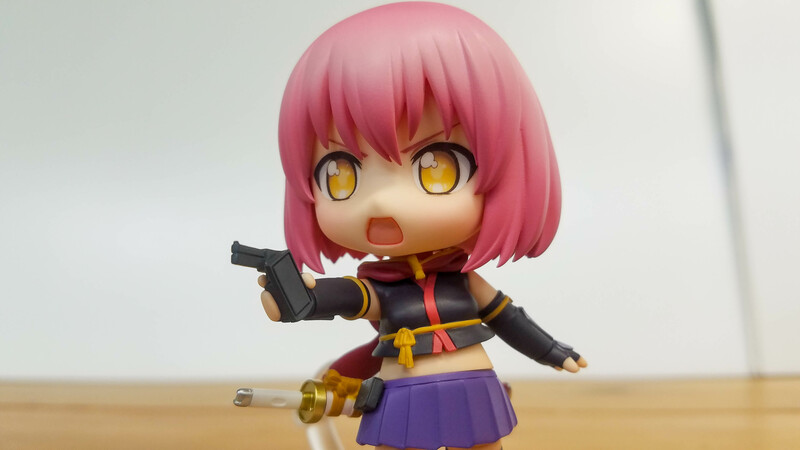 She has her smartphone gun ready in case she needs it. 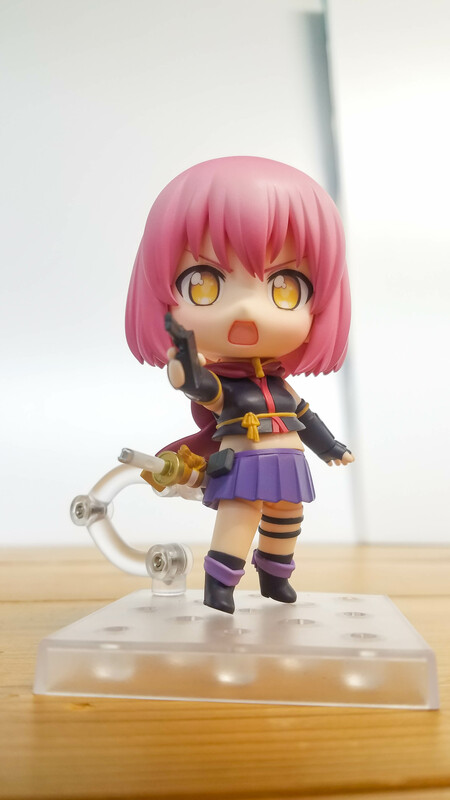 Always prepared to shoot her enemies down! Of course, she can also use the Katana which she inherited from her master, cinnamon.